·Zhang Shuangquan, Li Zhanyang, Zhang Yue, Gao Xing. Skeletal element distributions of the large herbivores from the Lingjing site, Henan Province, China. Sci China Earth Sci, 2012, 55(2): 246–253. ·Zhang Shuangquan, Gao Xing, Zhang Yue, Li Zhanyang. Taphonomic analysis of the Lingjing fauna and the first report of a Middle Paleolithic kill-butchery site in North China. Chinese Science Bulletin, 2011,56(30):3213－3219. ·Zhang Shuangquan, Li Zhanyang, Zhang Yue, Gao Xing. 2009. Mortality profiles of the large herbivores from the Lingjing Xuchang Man Site, Henan Province and the early emergence of the modern human behaviors in East Asia. Chinese Science Bulletin, 54(21): 3857-3863. ·Haowen Tong, Shuangquan Zhang, Fuyou Chen, Qing Li. (2008). 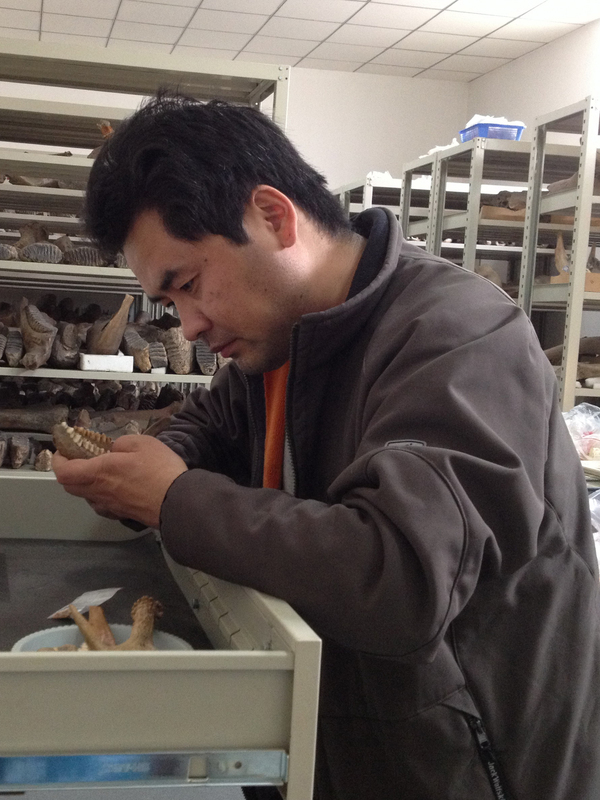 Selective gnawing on bones by porcupines and other rodents: A case study of the Tianyuan cave, a site with human fossils newly discovered near Zhoukoudian (Choukoutien). L’anthropologie, 112, 353–369.